PAGE @ 15 – who speaks and acts? In 2003, an implementation plan by Dana Walker (PhD student in Information Science at the University of Michigan) and program outline by Sylvia Gale (PhD student in English at the University of Texas-Austin) founded the ambitions of a new graduate education network within Imagining America (IA). 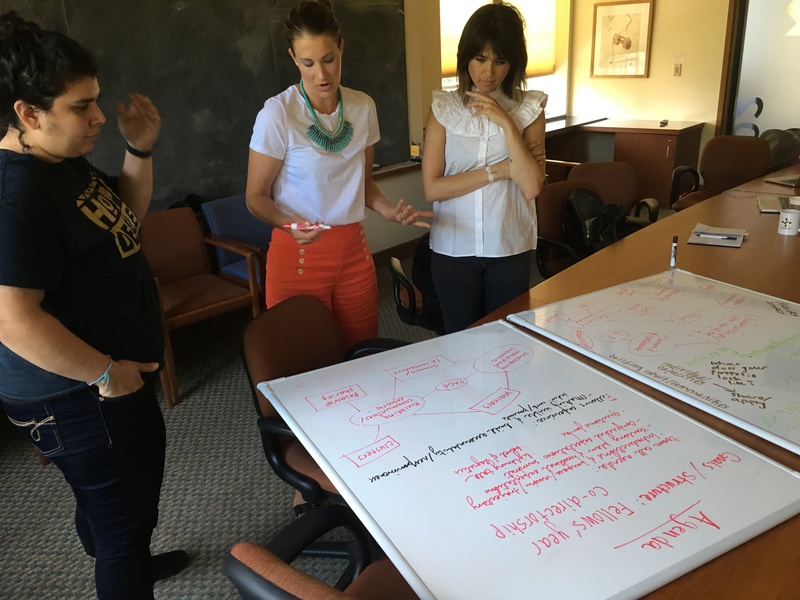 The network proposed as Publicly Active Graduate Education (PAGE), aimed at shaping the direction of this national consortium with graduate experiences in higher education, and at building the capacity of graduate students in public scholarship and community engagement through mentoring and peer-based learning. This year marks the 15th anniversary of PAGE. 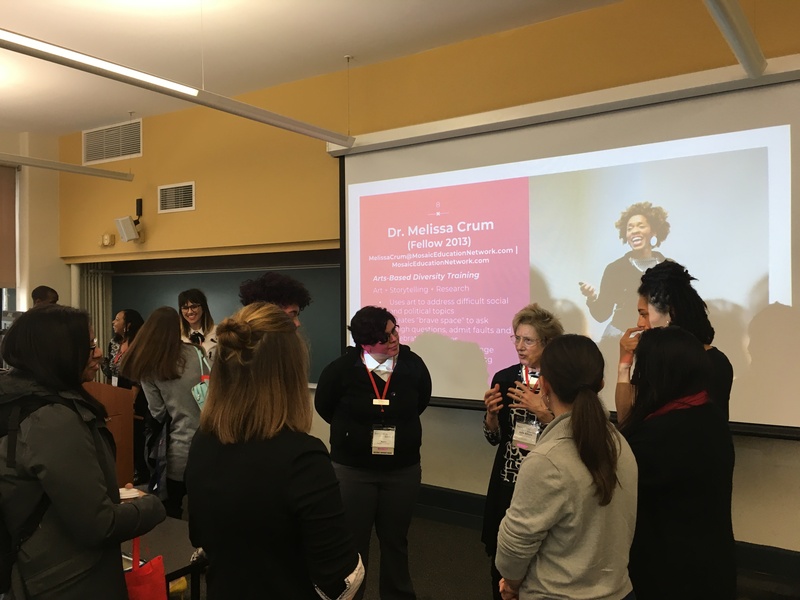 To celebrate this history and community with participants at the IA conference in Chicago (October 19-21, 2018), my co-instigator Frances Lee and I invited them to share a slide on a public scholarship project or issue that matters to them; a slide that introduces their practice and context as a public scholar. We viewed this invitation as an opportunity to connect with the past and present fellows and co-directors, as well as a platform for potential project-based collaborations between contributors. The emerging slide deck represents a broad range of work that reflects the many exciting ways in which PAGE co-directors and alumnx practice public scholarship. 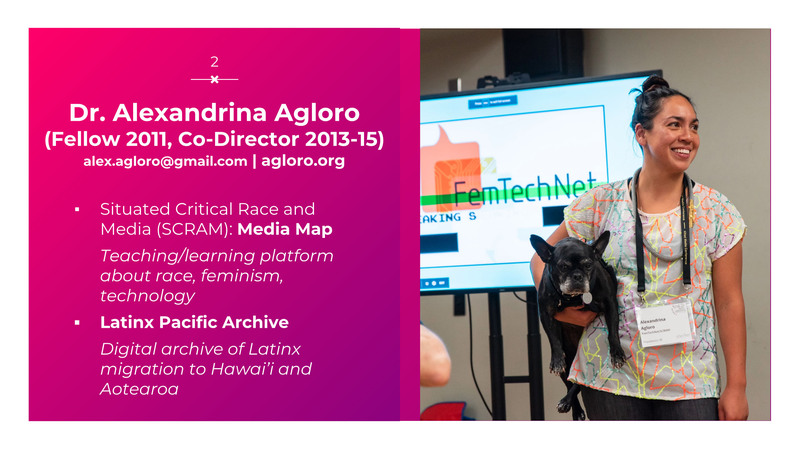 Frances and I envision this slide show as the start of a yearlong conversation on who we are, where we are, what PAGE means to us, and how PAGE might continue to be of value to its fellows and alumnx.